Breaking: United Nations Caught Helping and Coaching Caravan Illegal Aliens! The migrant caravan is making record time. More than half of the reported 14,000 migrants have already reached the border, and thousands more are on their way. They covered more ground in a week than they had in the previous month. That is because they had help. After week-long negotiations with the United Nations, the caravan all of a sudden got chartered buses. And while they drive to the border, they are being coached by UN officials on how to trick the United States into giving them asylum. This is what your tax dollars are going towards. The UN is using American money to help the caravan break into this country. And now, Paul Ryan and the GOP are working with the Democrats to restore all of the UN's funding that Trump cut! The deadline is December 7. We are running out of time! Please, send your instant and urgent hardcopy letter to Congress right now and FORCE them to preserve Trump's UN funding cuts and pass the American Sovereignty Restoration Act to cut the rest! It is not a coincidence that the illegal migrant caravan has covered more ground in the past week then it had in the month previous. After week-long negotiations with both the United Nations and Mexican Government, the caravan all of a sudden received chartered buses to carry them all the way to the US-border. 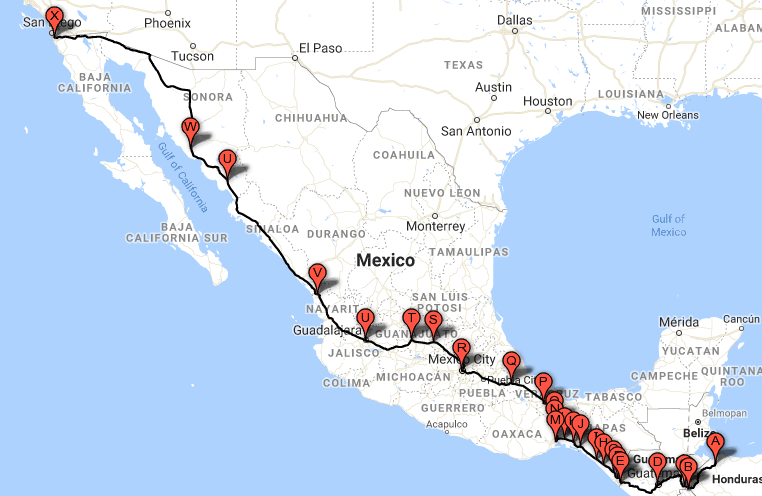 More than half of the caravan has already arrived, and as more caravans march through Central America, there is no end in stop. All of this was made possible through the United Nations and its migration agencies. President Trump made a massive $300 million aid cut to the UN's migration and refugee agencies. But the United Nations found new donors and is now focusing on helping these economic migrants pose as refugees so they can get into the United States. Enough is enough. It is time to put an end to this once and for all! Right now, GOP leadership is working on a Continuing Resolution to push the spending bill package off to the next Congress. Their plan would fund the government at last year's levels, before Trump made all of these cuts to the UN's budget. So not only would the United Nations get its money back, but any further effort to defund the UN would be up to Nancy Pelosi. I am demanding that you stop your colleagues from restoring even a cent of the United Nations' funding. You MUST pass the American Sovereignty Restoration Act. This legislation would cut it all. Every single dollar of UN funding would be pulled. The only funding that would be allowed would be whatever is necessary to withdraw Americans from UN agencies. For far too long, we have watched as the United Nations used American tax dollars to target our sovereignty. It is undeniable now. The UN is helping the caravan. They must be defunded now! You must put America First, otherwise you will regret it!